Who knew a day-long softball tournament would leave my quads so sore two days later? I think they've been less tight after some half marathons than they are right now. But I'm not really complaining because my Senate league softball team rocked in the playoffs this year and landed ourselves in the championship game for the first time in the like 28-year history of the team. Unfortunately we lost in the championship game 6-4, which was a huge bummer, but overall the day was pretty awesome. We played a lot of good softball. 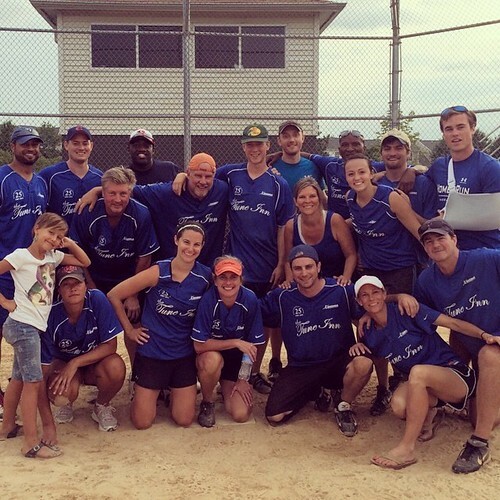 So one softball league is officially wrapped up for the summer. The other two will be wrapping up in the next few weeks.